Took a trip down memory lane with the crazy cool folks over at Design Sponge! If you don’t know this site you should — not just because they featured me. Design Sponge truly is a go to resource for inspiration, lifestyle, and all things design. 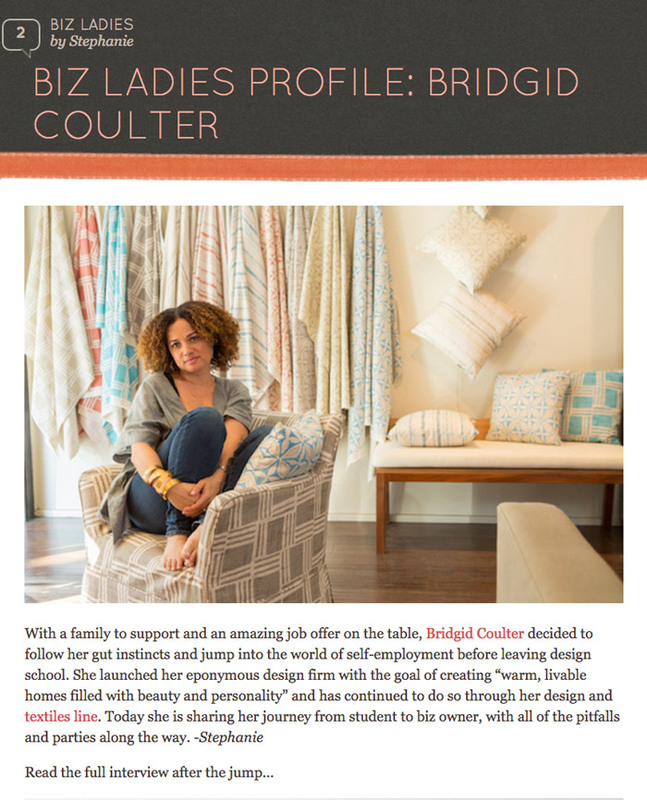 My Biz Ladies feature went live today and I must say I’m honored. I hope my candid descriptions of the ups and downs of becoming a business owner inspires budding entrepreneurs to do it better than I have. Don’t get me wrong, I love the ride I’m on; I just know how much it meant for me to read examples of how other folks managed to make their dreams into reality. Give it a gander and check the rest of the site while you’re at it. But don’t blame me if you start remodeling or shopping; this site is chock full of ideas and goodies that are hard to resist.